This is the second of a three-part Winter Survival Guide series. Winter tires are important for those driving in wintery conditions throughout the U.S., but not many heed the call to outfit their vehicle before setting out on a snowy drive. In a 2015 survey commissioned by Bridgestone America, during the holiday season, Americans were found to log a national average of 25 billion miles on the road to visit family and spend a combined average of $52 billion on travel during the holiday season, based calculations from the U.S. Census Bureau’s 2010 census. However, 26% of those surveyed reported they do not invest in winter tires. Winter tires are engineered specifically for winter driving. They tend to have deeper tread to grip snow, as well as rubber compounds designed to remain pliable on the road, according to Consumer Reports. The company's tests show that when roads become nasty, winter tires outperform most regular all-season tires. “Winter tires provide increased traction, braking and handling in wintry conditions, all of which are important for safe driving during the winter season," stated Philip Dobbs, Chief Marketing Officer, Bridgestone Americas. "Think about it this way – a snowplow can’t clear the cold. If it’s cold enough to see your breath, you should consider changing to winter tires." "I know I should, but what's in it for me?" Although drivers will average about 147 miles on their way to visit family members during the holiday season, “many Americans are troubled by the freezing temperatures and treacherous driving conditions that accompany the start of winter. Seventy-one percent of drivers admit they are nervous to drive when it’s icy, and many also are nervous to drive during heavy fog (52%), heavy rain (48%), sleet (47%) and snow (45%)," Bridgestone said. You always want to be a confident driver behind the wheel. 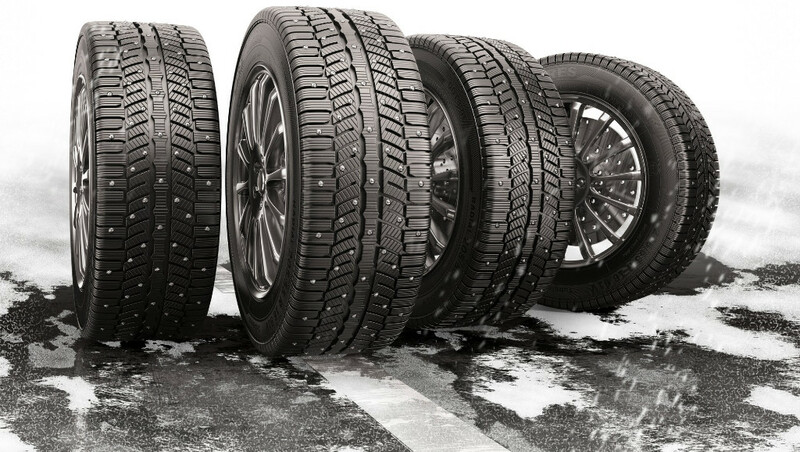 Winter tires will greatly assist you during your holiday road trip--be sure to have the right ones fitted on your vehicle. Side note: In melted snow and dry pavement conditions, winter tires do not grip as well as all-season tires and their tread also wears out faster. Be sure to exchange them for your regular tires once spring comes. For more information and ratings on winter tires, visit Consumer Reports' website.